FLICKR | PHOTO COURTESY ‘PlanetSide Arena’ is set to release Jan. 29 for PC. 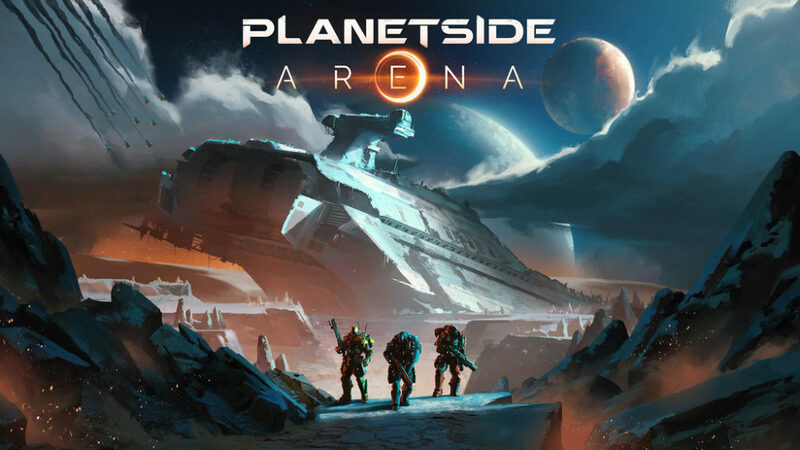 “PlanetSide Arena” releases Friday, Jan. 29 for personal computer (PC). In a bid to attract new players, Daybreak Game Company is creating its own version of a battle royale game that may be coming too late into the market. The company’s biggest hit, “PlanetSide 2,” is an always-online massive military shooter where three factions fight to control the planet of Auraxis. Fighting spans over the four continents of the planet in epic battles between players as infantry in tanks, aircraft and mech suits. Since coming out in 2012, the game has kept a large player base, however, it has been shrinking since then. “PlanetSide Arena” may be Daybreak Game Company’s attempt at claiming back some of its previous player base. Like all battle royale games, “PlanetSide Arena” shares many of the same characteristics with the other more popular games like “Fortnite” or “PUBG.” These include, but are not limited to, last man standing modes, shrinking battleground and everyone wanting to kill each other. “PlanetSide Arena,” while not unique with its choice of genre to explore, does contain a few new features that have not yet hit mainstream battle royale games. The first and most PlanetSide-y feature in this new battle royale game is the incorporation of 500-player battles rather than the standard 100 that has been beaten to hell and back. This large number of players is what Daybreak Game Company is known for. With the success of “PlanetSide 2” servers being able to handle 2,000 players per continent, this minuscule by comparison number is extremely doable for Daybreak. This much larger group of players battling it out should keep things nice, hectic and messy. Another interesting change to mix up the status quo is the forgoing of two-player and four-player squad play. To take their place is a three-player squad system mixed in with the next most exciting feature — customizable classes. Choose one of three different classes: Assault, Engineer or Combat Medic and customize their armor and weapons to suit you and your squad’s play style. In comparison, most other battle royale games only allow you to use equipment scattered across the map. In “PlanetSide Arena,” you have the choice to be as well prepared as possible. Lastly, combined arms combat will be a thing that will keep the combat varied and intense. “Tanks, ATVs, jetpacks and more” will be in the game to give players a tactical edge, especially in the large 250 versus 250 battles between players. With these new features comes a few issues that people, who are interested in the game, should be aware of. First, unlike the much larger scale “PlanetSide 2,” which is free-to-play (FtP), “PlanetSide Arena” is priced at nearly $20. There is not much in the way of changes from the base game such as graphics, armor and weapons, which leaves the question of, why so much? Another thing to watch out for are microtransactions. Microtransactions, in the larger game, are just there because the game is already FtP and the developers need to eat. All items except for cosmetic skins are obtainable in the game through playing and earning CERTS (in-game currency). Hopefully, this will stay the same in “PlanetSide Arena,” but that is unlikely seeing how the gaming industry is nowadays. Previous Previous post: Reopen for Business?